Each word in the title of each song will be placed in its own egg along with an extra egg that will include an activity for singing that song (this is just a way for more children to be able to hunt for an egg. If you like, place the entire title of a song in one egg and the activity in another). Download my document HERE for the songs and activities. Cut out the words of each song title and then cut out each activity. Place each song/activity in the same color of eggs. For the pink egg quote, there are 2 options - you can word scramble the quote and the kids can put it together or you can put the smaller font sized quote in 1 pink egg. Before primary, scatter/hide the eggs around the room. For the activity, call on one class at a time to help find all the eggs of the same color. I'd recommend going in order - yellow, green, blue, orange, pink. Have the kids collect them in an Easter basket. That same class can then open them up to reveal the title of the song to unscramble and read the activity to go along while you sing it. Sing the song and do the activity. You could also have the whole primary find an egg at the very beginning, then group everybody with the same colors together and the groups must unscramble the eggs all at the same time. Then starting with the yellow group, sing all the songs and do the related activity, quickly moving to the next group, etc. This would be faster if you are short on time. Bear testimony that you know Jesus Christ died that we might live again and that one day we can live with Him and Heavenly Father again if we live righteously. 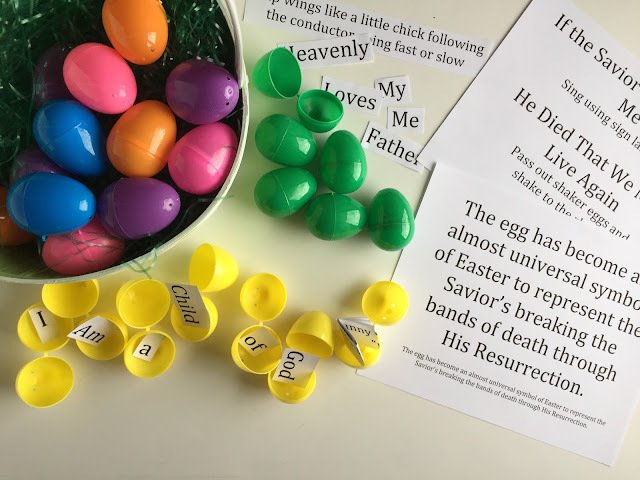 It might also be fun to pass out an empty egg to the kids and challenge them to write their testimony on a slip of paper and give it to a non-member friend this week! If you want to go even more simple, use 1 Easter egg and play Hot 'n Cold. Find details HERE for that activity. #7: I am a Child of God verse 2 -- focusing on how it is never too late to repent in this life and that God will always forgive us. #6: I am a Child of God verse 3 -- focusing on the rich blessing of living with God again. #5: I am a Child of God verse 1 -- focusing on our parents and family and people that show us love. 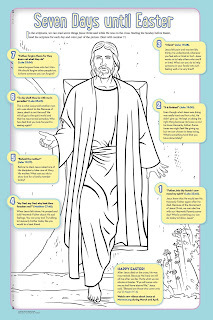 #4: If the Savior Stood Beside Me verse 2 & 3 -- verse 2 because we talk when we pray and verse 3 because He is near us when we are praying even if we can't see Him. #3: My Heavenly Father Loves Me both verses -- focusing on our mortal state on this Earth and our bodies. #2: If the Savior Stood Beside Me verse 1 -- focusing on trying hard to follow Jesus' example. #1: I am a Child of God verse 4 -- focusing on how we can live with our earthly and Heavenly families when we are in the Celestial kingdom. And then you can end with whatever Easter song you want for Happy Easter! 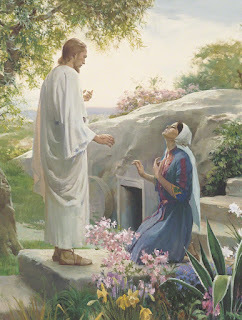 We are going to do Did Jesus Really Live Again." Thank you Beatrice for sharing! 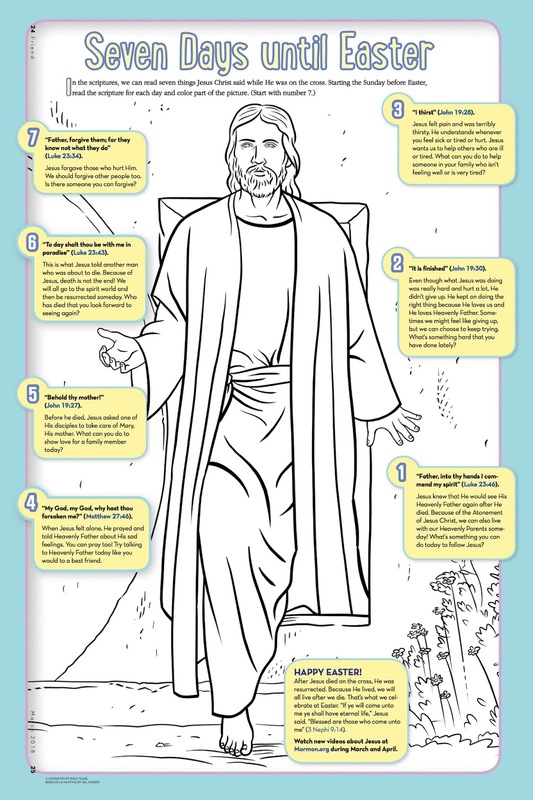 I also have LOTS of Easter singing time activities posted HERE that you can scroll through for more ideas! Looking ahead...with no lesson plan to plan for due to General Conference (YAY!!) I will be updating my Nursery Bag found HERE. My Follow the Prophet props need updating to reflect new prophet visuals. If you don't have a nursery bag but have been longing for one, this is a great week to put it all together, especially since Easter eggs will be plentiful :). And looking even more ahead, I'll be updating all my General Conference visuals (all found HERE) once we find out who our new apostles will be! The week after General Conference we'll discuss all the changes that we made in our leadership during Conference! Always LOTS to do! !